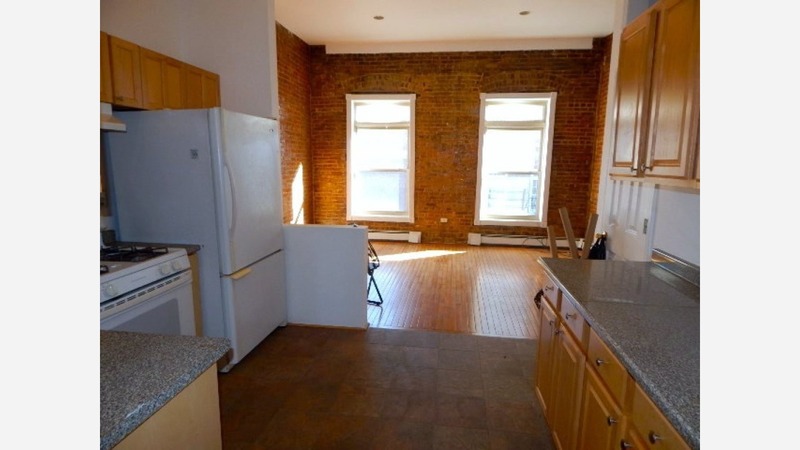 Renting in the Tri-State area: What does $2,300 get you? We compared what $2,300 might get you in New York City, Queens and Yonkers, using data from rental site Zumper to get a sense of what to expect when it comes to finding a rental in the area. New York City -- 315 W 136th St. This one-bedroom, one-bathroom apartment is located at 315 W 136th St. in New York City's Central Harlem North-Polo Grounds neighborhood. Asking $2,300/month, it's priced 21 percent below the $2,900 median rent for a one bedroom in New York City. In the unit, you'll find high ceilings, a dishwasher, wooden cabinetry, exposed brick and ample natural light. Cats and dogs are not permitted. Walk Score indicates that this location is a "walker's paradise," is bikeable and boasts excellent transit options. Next, there's this three-bedroom, two-bathroom unit over at 19-7 Clintonville St. in Queens' Whitestone neighborhood. It's also listed for $2,300/month--29 percent less than Queens's median three-bedroom rent of $3,250. In the unit, you're promised hardwood flooring, high ceilings, a dishwasher, granite countertops and large windows. Reserved parking is offered as a building amenity. Cats and dogs are not welcome. Listed at $2,300/month, this 2,368-square-foot three-bedroom, one-bathroom apartment at 19 Ann Marie Place in Yonkers is 8 percent below Yonkers's median three-bedroom rent of $2,500. Amenities offered in the building include assigned parking and on-site laundry. In the unit, look for hardwood floors, large windows, a dishwasher, stainless steel appliances and tons of cabinet space. Cats and dogs are not allowed. According to Walk Score's assessment, the surrounding area is moderately walkable and has some transit options.